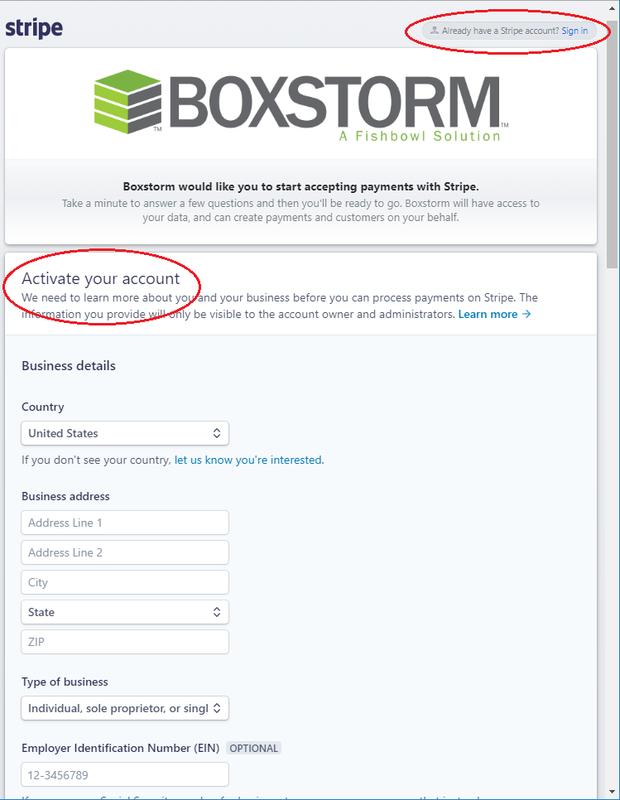 Payments within Boxstorm are managed in the Sales Order and Settings modules. 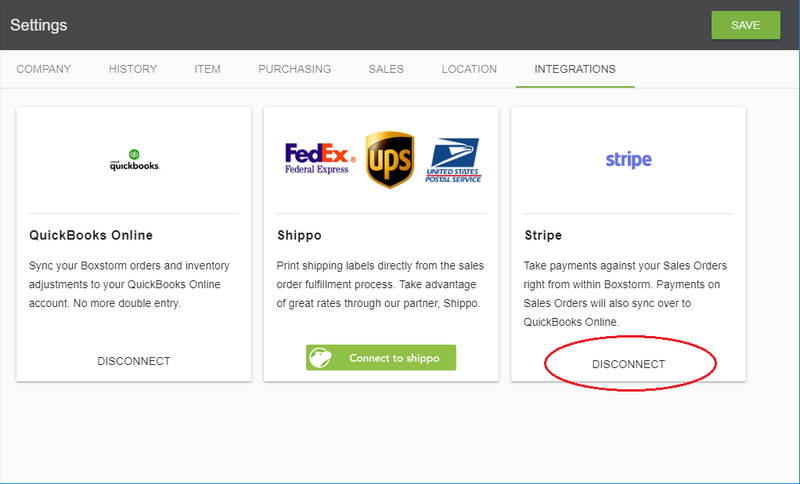 Note: When integrating with a stripe account, there is a processing fee. If a refund is submitted, stripe does not refund the fee. 1. 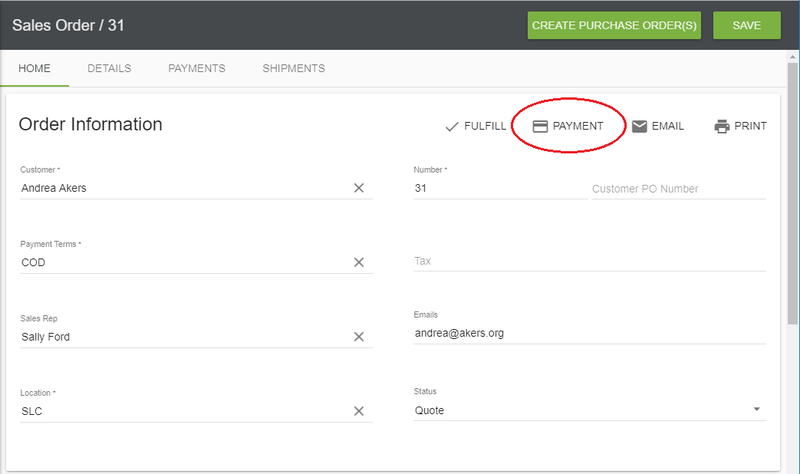 To make a payment, first create and Save a Sales Order. 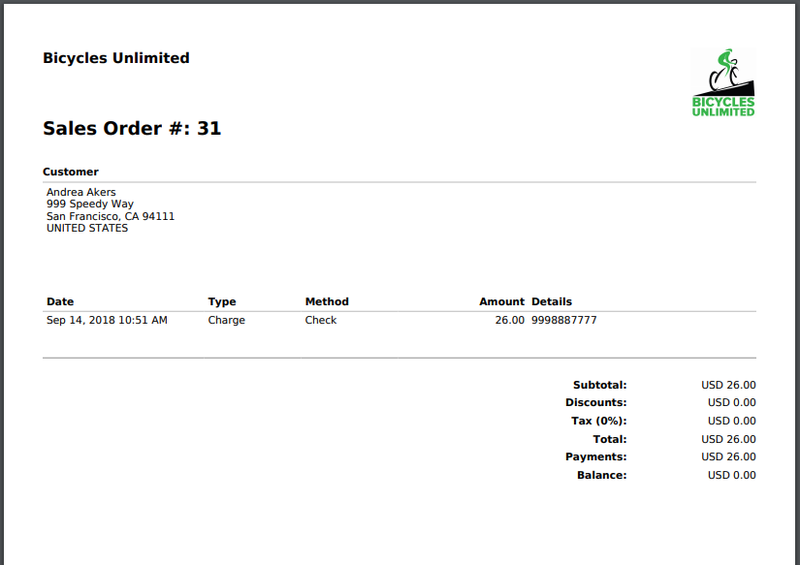 Once the order has been saved, the Payment button will become visible. 2. Choose to pay with Card, Cash, or Check. 3. Fill in the applicable information and click Submit Payment. When taking payments with a card, funds will not be captured unless Boxstorm is connected to Stripe. 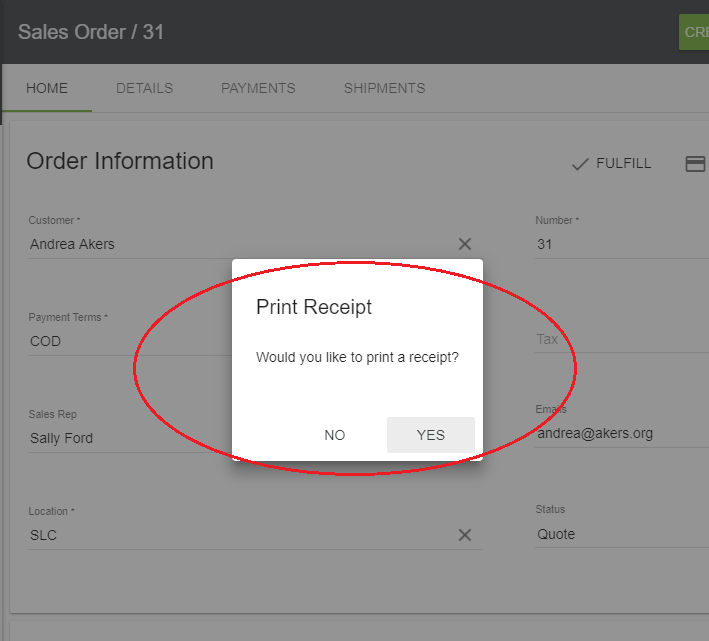 Once the payment has successfully been submitted, an option to print a receipt will appear. Choose yes to Print, or No to exit. 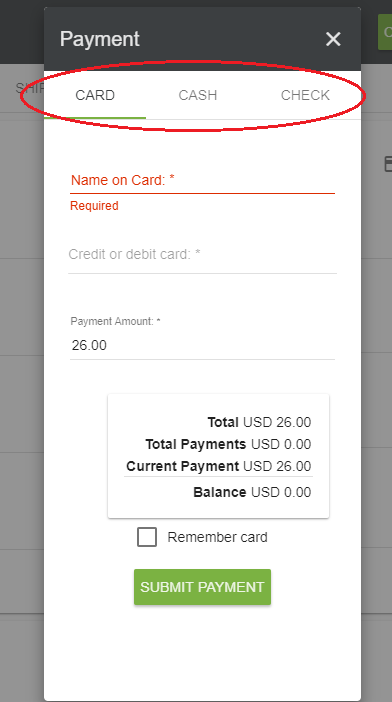 If Boxstorm is connected to Stripe, the option to remember a card becomes available when taking payment. 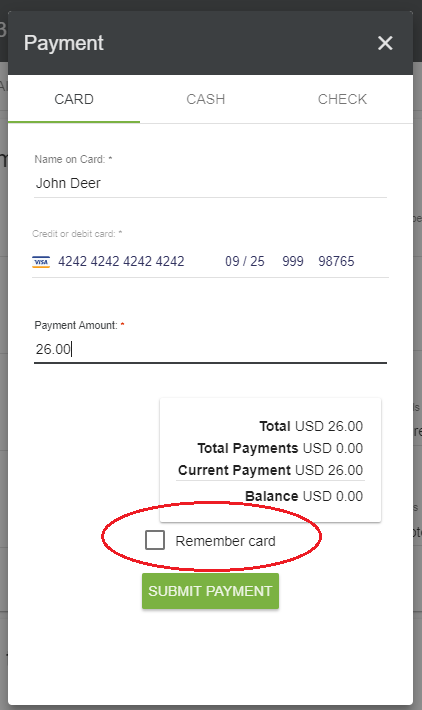 If a card is saved, the next time a payment is made for this customer on a Sales Order the card option will be available to select. If a new payment method is desired, choose the Add Payment Method. 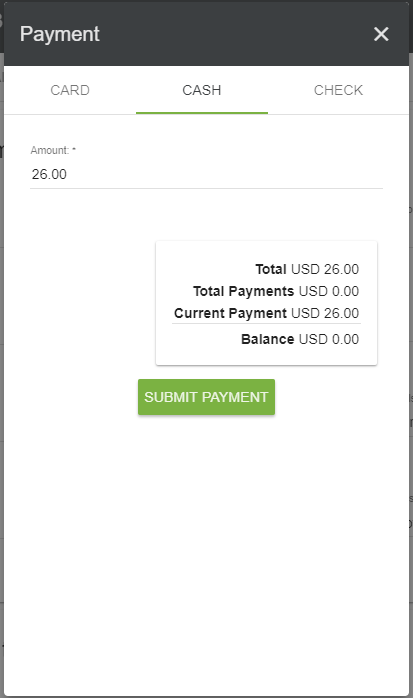 Stripe is an optional integration company that allows for payment processing to be made through Boxstorm. It requires a separate account before integrating with Boxstorm. Note: When integrating with a stripe account, there is a processing fee. If a refund is submitted, stripe does not refund the fee. To connect a stripe account, first choose the Settings Module | Integrations Tab. Choose Connect with Stripe. 2. If an account has already been created, choose the Sign In option in the upper right hand corner. 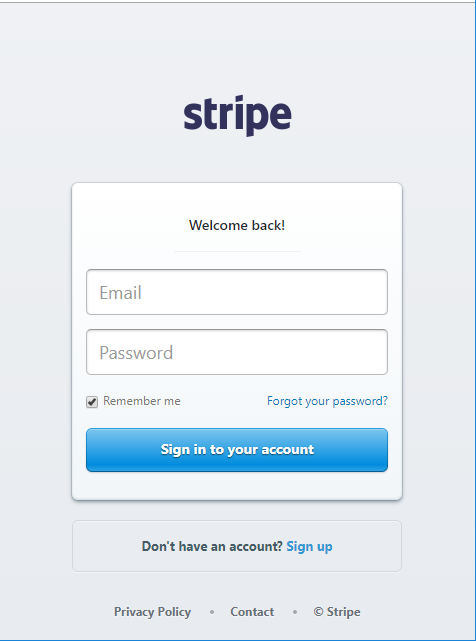 If a Stripe account needs to be created, first fill in the required company information including bank information and give authorized access to this account. 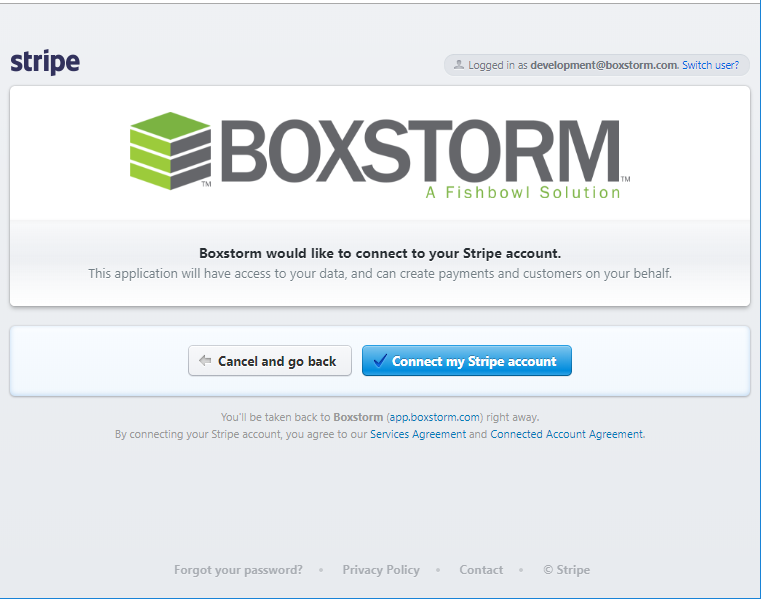 After successfully signing into the company account, Stripe will verify the Boxstorm integration one additional time. Choose Connect my Stripe Account. Congratulations, Stripe is now integrated! 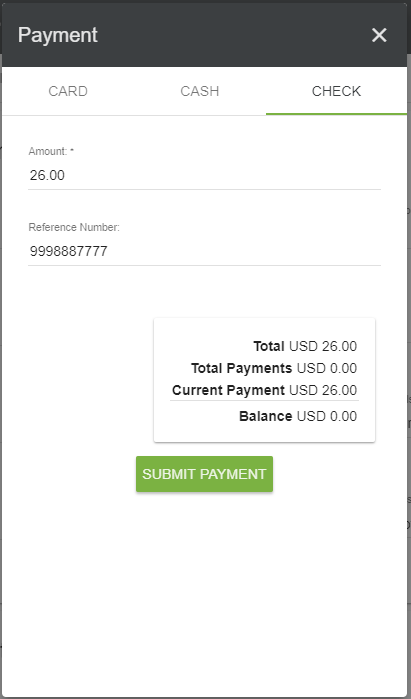 The following photo is a view of the Stripe Dashboard after payment has been made through Boxstorm. To delete the connection with Stripe, go to the Company Module | Settings | Integrations tab. Choose Disconnect under Stripe. For detailed instructions on QuickBooks Integration, mapping accounts and T-charts, please see our QuickBooks Online documentation page.